With over 30 years experience, JMIR has built a reputation or providing quality band and orchestral instrument repair in Southern California. Students, professionals, band directors, school districts and music retails know JMIR for fast turn around time, fair prices and doing the repair right the first time. 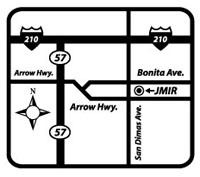 Located in San Dimas, JMIR services schools and music retailers throughout the Los Angeles area. From Simi Valley, Santa Monica and the west side to Rancho Cucamonga and Irvine, JMIR has the area covered.